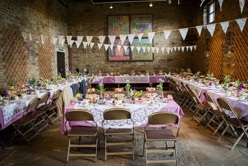 We offer a hire service of all our vintage china, hand decorated jars and various props for you to create your very own unique vintage wedding. Or if your just looking to create your own vintage afternoon tea party we can help with that as well. 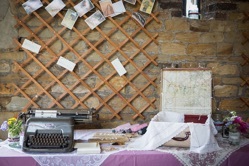 Vintage Wedding Daze is run by myself (Emma) and my husband Jonathan. We aim to work with you to help you put together what it is you require for your big day, be this large or small. We specialize in our own hand decorated jars, which look great as table decorations either with candles or small bunches of flowers in them.